Start your sporting holidays with biking, hiking, mountain climbing, swimming, skiing, snowboarding, cross-country skiing or sledging; ...or simply relax in the middle of untouched nature and relaxing tranquility. 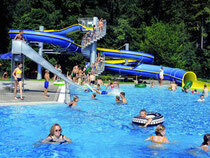 Swimming pools as well as lakes for swimming are not far from us. Furthermore, a well-established and extensive network of cycle and mountian bike tracks as well as footpaths offer you a great nature experience. The skiing areas Sudelfeld and Spitzingsee (only a few kilometers away) invite you for winter sports as well as an attractive network of cross-country skiing trails in Fischbachau and the Alps area Wendelstein between Schliersee and Thiersee. ... how to find us. 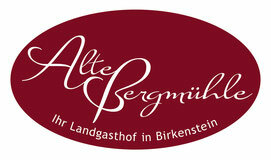 "Alte Bergmuehle" is your ideal stopover when you are cycling on the Bodensee-Koenigssee cycle track. We will be pleased to put you and your bike up for a night. We can offer you a comfortable bed and your bike will wait for you and an exciting continuation of your journey in our garage. In the evening you may relax and enjoy your dinner in our comfortable restaurant. Well relaxed and after a rich sportsman breakfast you will be prepared for the next stage. A small repair set for bicycles is available if necessary. 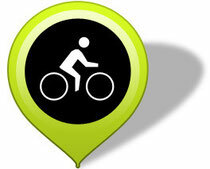 If there are any bigger technical problems, a bicycle repair center is nearby.